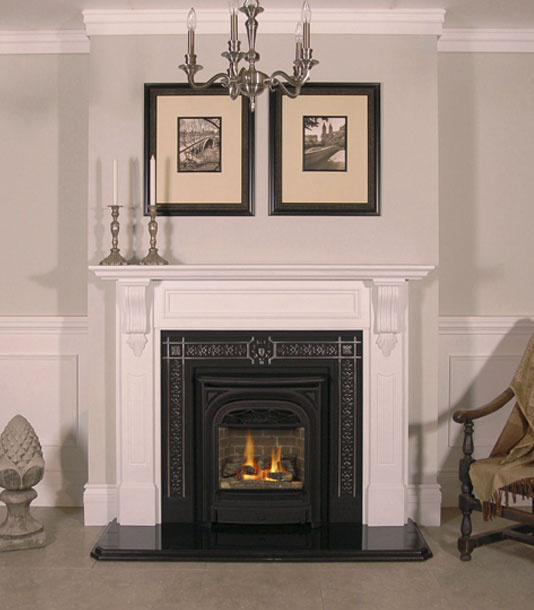 The PRESIDENT gas fireplace is designed to fit into very small spaces and offers a true vintage Colonial style. 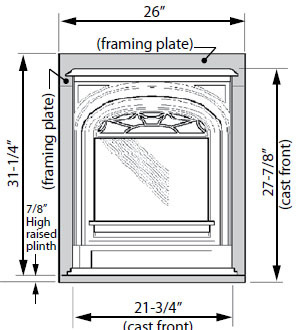 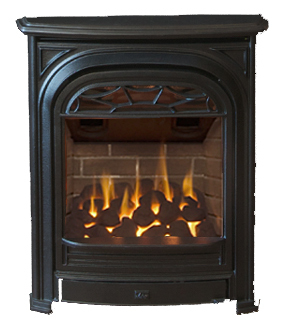 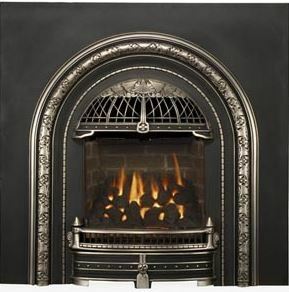 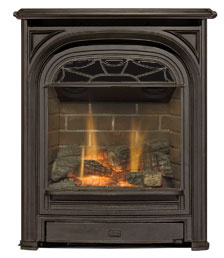 The cast iron front adds historic appeal to your fireplace while providing a powerful source of heat for your home. 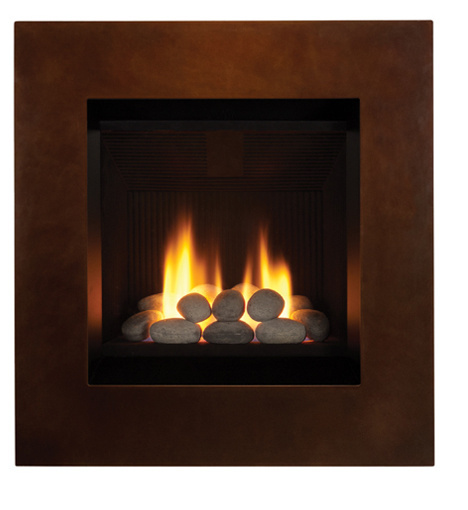 A hand-held thermostat remote control keeps the room comfortable by modulating the flame to maintain a consistent warmth, rather than turning the burner on & off, a feature offering greater efficiency than other fireplaces on the market. 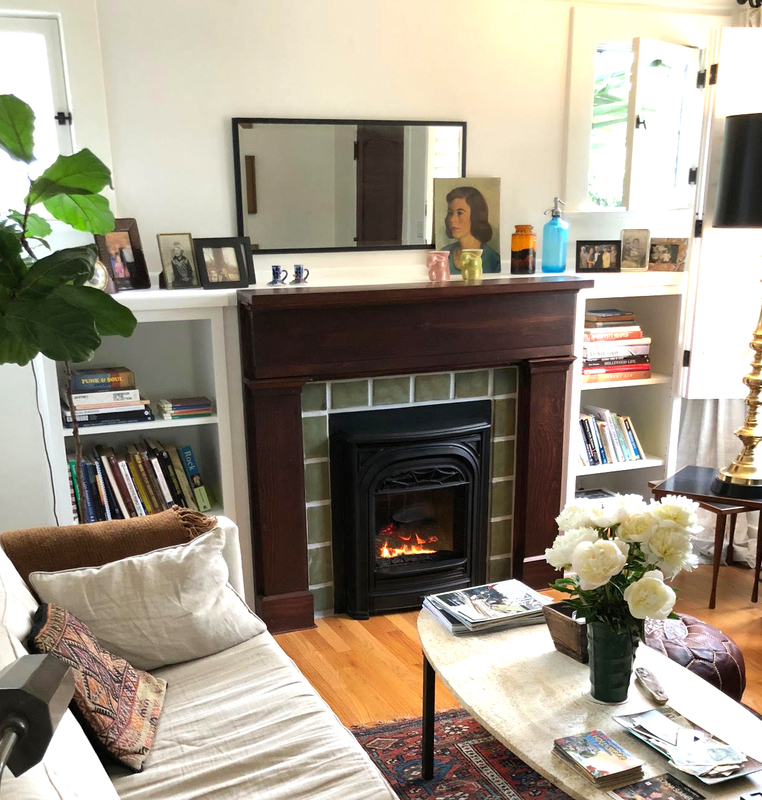 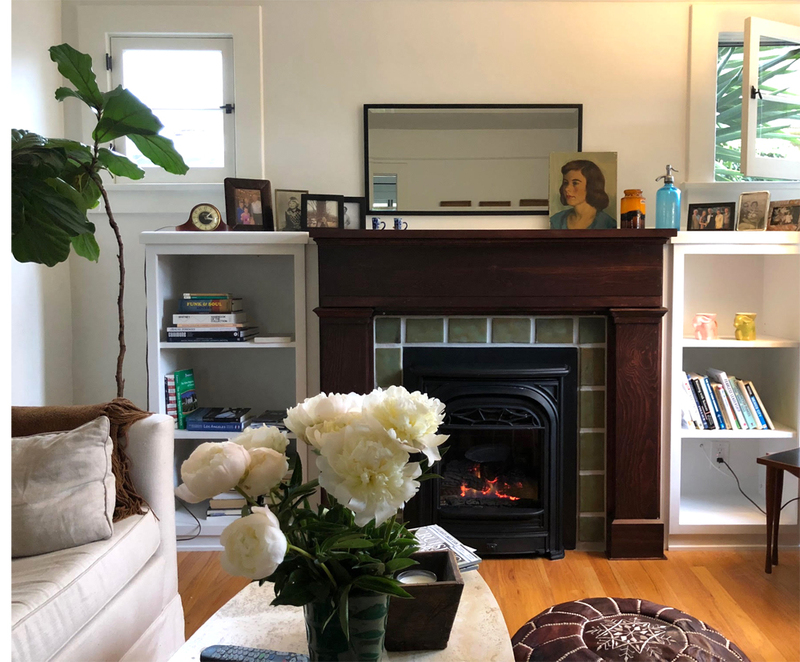 Set back from the decorative front so it's unobtrusive, the glass window prevents your warm air from being exhausted out of the chimney to keep the room cozy. 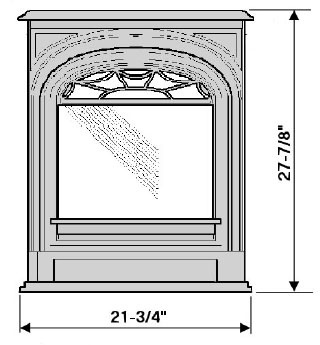 Included is a safety screen to keep little hands from touching the glass. 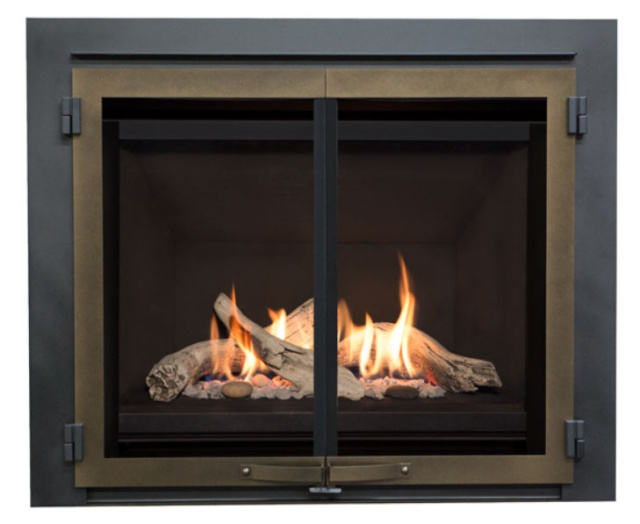 Direct vent technology uses double wall pipe; the outer chamber brings in combustion air from outdoors, while the inner chamber exhausts the fumes. 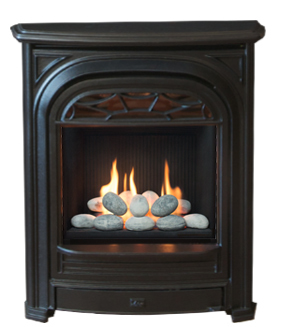 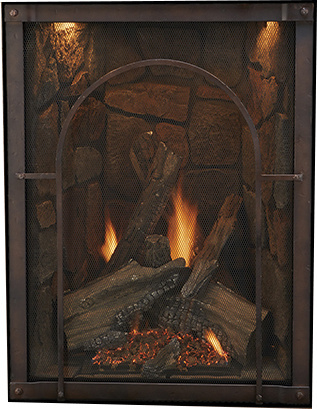 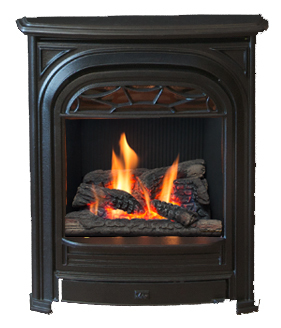 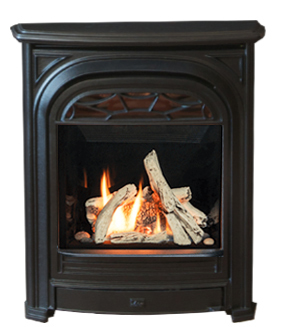 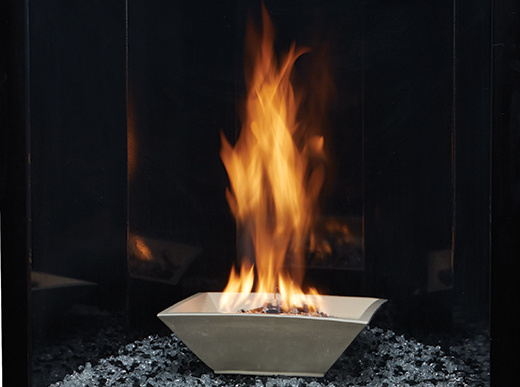 This offers the ultimate in fireplace efficiency and safety. 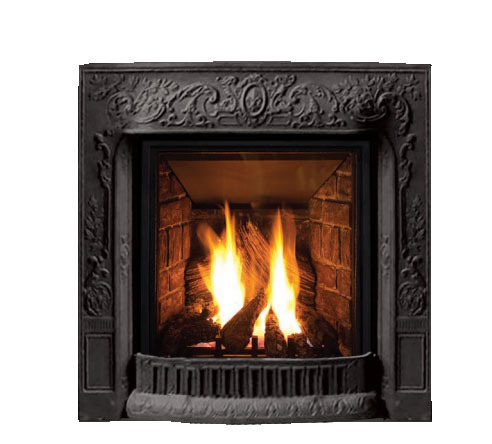 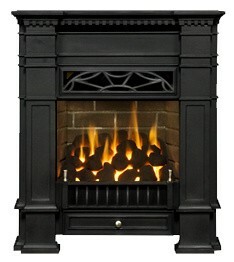 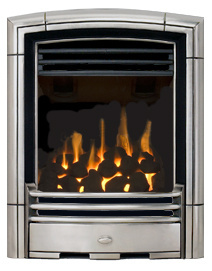 Select coal, stone or log effect gas fires. 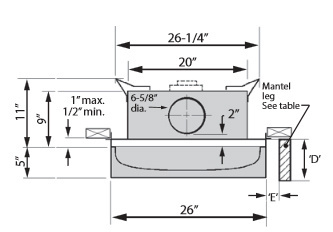 Electronic ignition means there's no standing pilot. 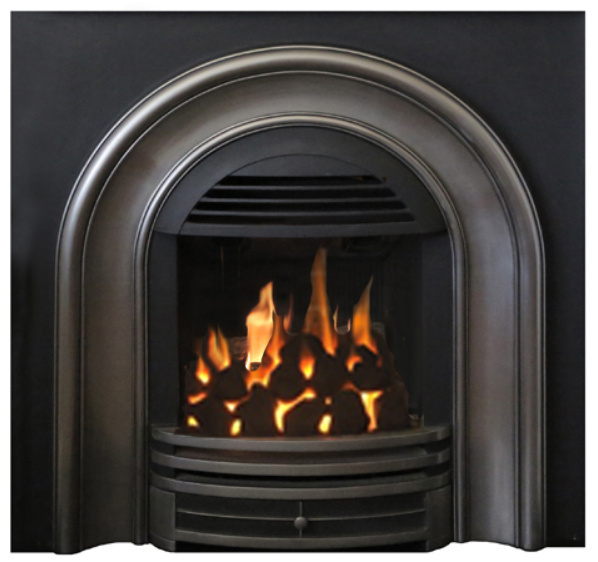 Multifunctional hand held remote control: adjust flame height, adjust heat output, set a timer to cut your fire on just before you get home from work - a true welcome home! 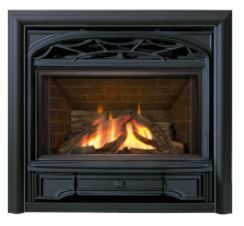 Complies with California and New York energy codes; also approved in Massachusetts. 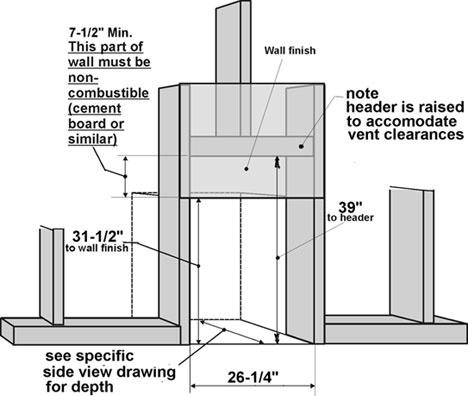 Direct vent technology uses a double wall pipe system.